“At the time that I was enrolled, I had been working as an RN for more than 20 years, so there was some trepidation in terms of going back to school as an adult learner. The faculty respected and appreciated my experience and accumulated knowledge and challenged and stimulated me at the same time. I enjoyed the diversity in age and background of the students in my classes as well. This experience allowed me to go on to pursue an advanced degree and become a nurse practitioner, which was always a dream and goal of mine. I have had several wonderful mentors that have assisted me along the way, one of whom is Kathy Burke. I’ve spoken at national and local conferences on the care of heart failure patients, and have received a NJ League of Nurses award, and have been a nominee for the Governor’s Award for Nursing Excellence. I feel extremely fortunate to have attended Ramapo and to have had the opportunities that I’ve described. Working in Cardiology is also very personal for me as I am a Congenital Heart patient as well. 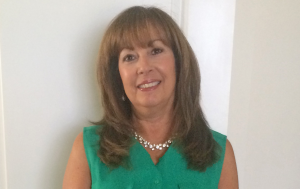 I always strived to provide excellent care for the patients I serve- this is more than a job, but truly a privilege!” – Lenore Blank ’02 graduated from Ramapo College’s RN to BSN joint program with UMDNJ. She received her MSN from St. Peters College in 2006 and has an Adult Nurse Practitioner Certification. Lenore is a Heart Failure Nurse Practitioner with the Atlantic Health System.